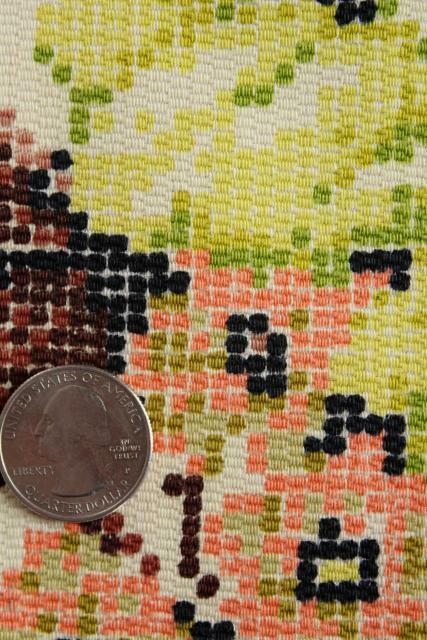 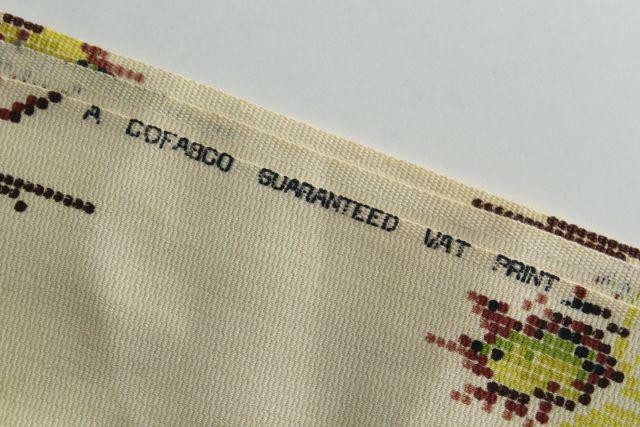 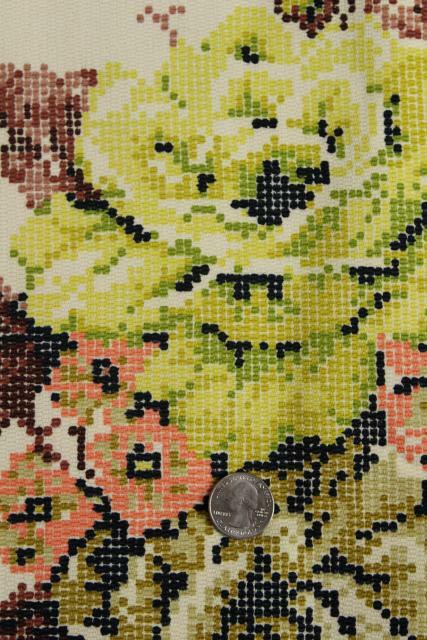 1940s vintage cotton decorator fabric with a surprising modern look! 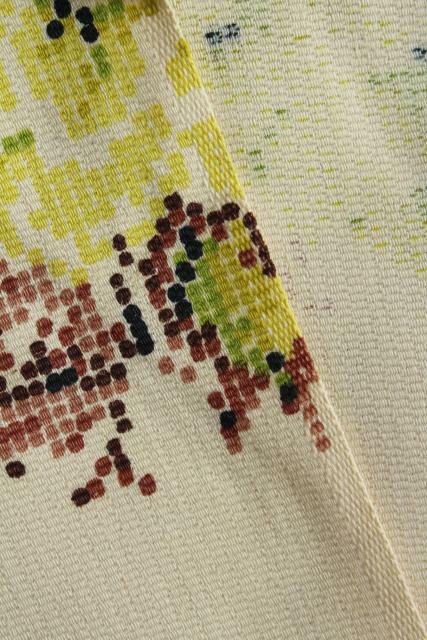 The colors on this couldn't be prettier... lime and apple green, blush pink, natural brown on creamy ivory. 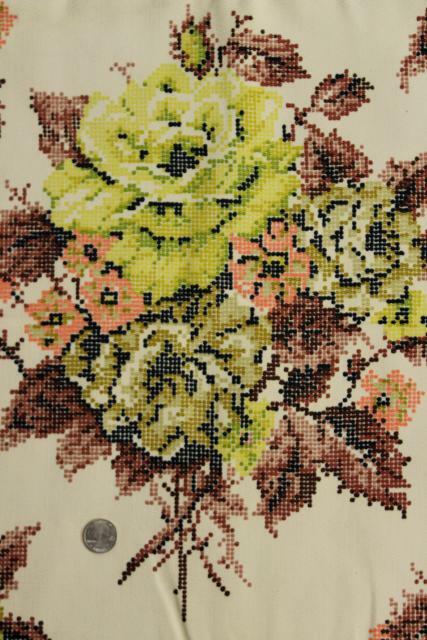 We love the bohemian style of the 'embroidered' floral print. 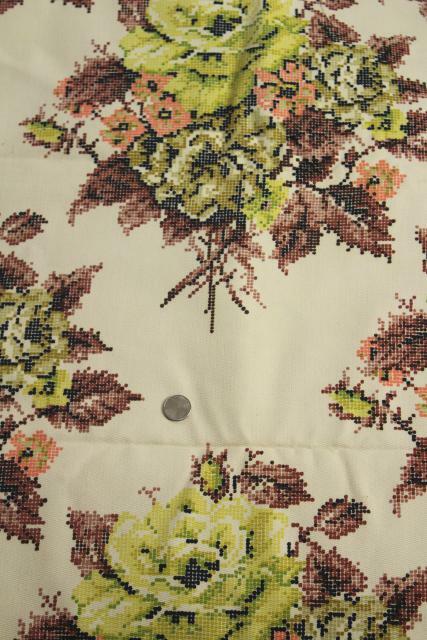 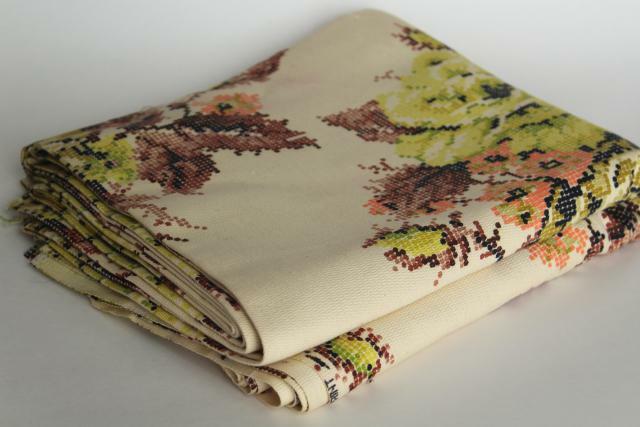 It's 46" wide x 4 1/2 yards, in very good condition, unused, without fading or spots.